It is commonly understood that being underweight could cause you to have troubles becoming pregnant. The main reason being women who are underweight may not ovulate, have a menstrual cycle, or enough fat for proper hormonal balance. For some people who are underweight, it can seem difficult to put on weight and keep it on. Here are some tips to help you to gain weight the healthy and fertile way. An easy way to find out if you are underweight is to find out your Body Mass Index using a BMI calculator. If you are in the range of 19 – 24, your weight is considered healthy. Having a BMI less than 19 is a signal that you are underweight. There is only one thing you can do to increase your BMI: eat more food. By focusing on eating a fertility diet that is geared for healthy weight gain, you will be well on your way. 1. Keep a food diary – Keeping a food diary is a necessity for gaining weight and keeping your body at a healthy weight. A food diary allows you to record your daily intake of foods so you know the reality of your eating habits and nutrient intake. Write down your meals in detail every day. Set aside time to do this after each meal. You can use a small notebook or create one with this food diary form. Track your diet for three days before you start your program; this is how you will find out what your current calorie consumption is. Record the number of calories, protein, carbohydrates, and fats for your foods recorded in your food diary. My favorite tool for finding out the details of each food is the USDA Nutrient Data Base. You can search online or download the USDA SR18 nutrient-finding program in to your computer or PDA. You may be surprised to find out that you are not eating as much food as you had previously thought. To find out how many calories you need to eat in order to gain weight, use a handy body calculator. It will outline how many calories, carbs, fats, and proteins you need to eat a day. Your initial goal is to gain 1 – 2 lbs. a week. 2. Plan out your meals for the week. Similar to a body builder, it would be helpful if you keep track of what you eat, and how many carbs, proteins, fats, and calories were in your meal. To stay on track, plan your meals and snacks so you don’t skip a meal. If a week seems like too much, start with planning the day. Take the total number of calories you need to eat and divide it throughout the day. 3. Eat whole fat dairy, butter, and yogurt. Eating these foods will help you with your caloric intake. Make sure they are organic so you are not adding excess hormones to your body. If you have endometriosis or PCOS, it would be better to avoid dairy and yogurt and focus on using almond or coconut milk to replace your dairy. 4. Eat 5 meals a day. Make sure your day consists of 3 meals and 2-3 snacks a day or 5 smaller meals. This is for several reasons. The first is so you make sure you are getting enough calories a day. The second is to help keep your blood sugar balance level, which is essential for healthy fertility and hormonal balance. 5. Eat nutrient dense foods. While ice cream is back on the menu, don’t fill up on empty foods just to get calories. Make sure you are eating foods that are dense in nutrients. I am a lady in my thirties and have been trying to conceive over 2 years now. Before I got married, I had painful menses and I was told it will continue until I got married. Even after marriage it didn’t subside. When I went for check ups I learned I have an ovarian cyst which I was told may not interfere with fertility/conception. I was also given oral treatment and herbs (e.g. green world, tianshi, etc.) hoping these will cleanse me of, or reduce the cyst. My doctor felt that draining the cyst and using medication may not solve the problem, but insisted on removing the cyst entirely. What can I do or medication should be use? Thank you. There are a variety of contributors to ovarian cyst formation and growth and each doctor chooses to treat them differently. While for many, surgery to remove them so as to prevent ovarian damage is necessary, it is not known to address the underlying cause or factors contributing to their growth. This is why we feel it is important to consider supporting ovarian health and promoting normal ovarian circulation. There are herbs and nutritional supplements (which are not medications) that have been found to support the body in balancing hormones, maintaining normal ovarian health and encouraging a normal ovarian environment. Our article How to Help Ovarian Cysts Naturally and Safely with Herbs and Supplements… will help you learn all about them. I’m a 24years ago lady, for the past 3months now my period has not being flowing well of which it was not like that before and am so much concern about it. Can I know why is like that. I have not had a natural period for over a year and the past few months have been progesterone induced. I just had a blood test on Oct. 1st and the results were scary (at least in my mind). I have always been an active person so this is going to influence my day to day lifestyle. I have stopped physical activity for the moment and will re-test on Nov. 1st. The level of creatinine in my kidneys is elevated and my doctor thinks this is exercise related. Please let me know what I can do in order to bring this level to normal and if I do; do you think I will get start to get my natural cycle on track? Are you taking prescription progesterone from your doctor? If you are not you may want to learn about loading doses of natural progesterone cream. A loading does is useful for women who have had many months or years of anovulatory (no ovulation) cycles , which can create extreme progesterone deficiency. Each cycle that passes without ovulation can increase estrogen dominance as progesterone stores are depleted. Very thin women who have little body fat can become estrogen dominant very easily as there is no fat to store extra progesterone. In either of these situations Dr. John Lee recommends a higher dose of progesterone the first one to two months of progesterone cream use. This helps to replenish the progesterone stored in the fat of the body. After 2-3 months the does can be lowered to the usual dosage. 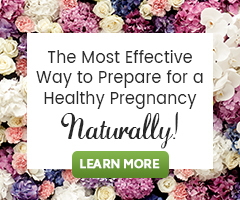 If you are taking prescription progesterone we do not recommend taking any herbs for fertility. Be sure to eat a nutrient dense fertility diet and take a good whole food multivitamin as well. If you are a person that does extreme exercising it may be a good idea to slow up for a while, try to rebalance your body. Going for a 30 min a day brisk walk would still be good for you. Your link for the “handy body calculator” appears to be broken! Found you through Twitter and glad I did. This is great information — thanks for sharing.